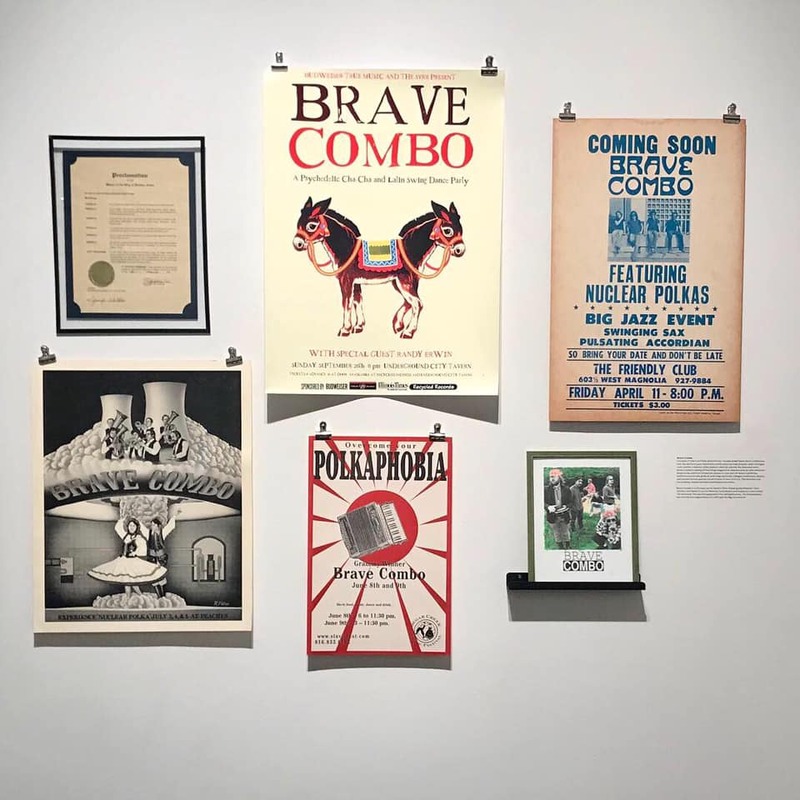 The University of North Texas (UNT), located in Denton, Texas, (where Brave Combo lives), is presenting an exhibit of artifacts from several prominent local musicians and bands and Brave Combo is honored to be included. The exhibit, which opens Friday, April 5th at UNT on the Square (a performance/gallery space in downtown Denton) is entitled SCENE & HEARD: SELECTIONS FROM THE Local / Independent Music Initiative of Texas (LIMIT) The show, curated and presented through the UNT Music Library, will be up throughout the month of April. We handed a bunch of stuff from our vaults to two of the representatives of LIMIT and have no idea how much will be on display, but it should be worth a visit. So, if you live nearby or just planning a little Denton get-away this month, drop in and check it out. I'm sure everyone will be friendly and there are a million places on the square to eat, drink and be merry, afterward. And it's free!